PCP, a deadly drug commonly known as Angel Dust, made its first destructive appearances on the street in the late 1970s. In Angel Dusted, Jean Stapleton plays a cloistered housewife/mother who knows little and cares less about drug problems. Her son is a hard-working college student who decides to experiment just once with marijuana. The boy freaks out after smoking pot laced with PCP--and it doesn't look like he'll ever totally recover. Adding texture to the film is the presence of the film's screenwriter Darlene Craviotto as the boy's psychiatrist--and the presence of Jean Stapleton's real-life son John Putch in the role of her on-screen son. 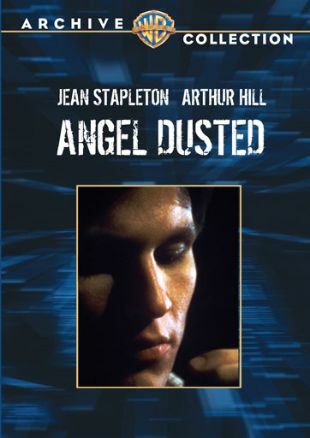 Angel Dusted was based on a book by Ursula Etons.